Whole Food’s Grilled Cheese Thrown Down! 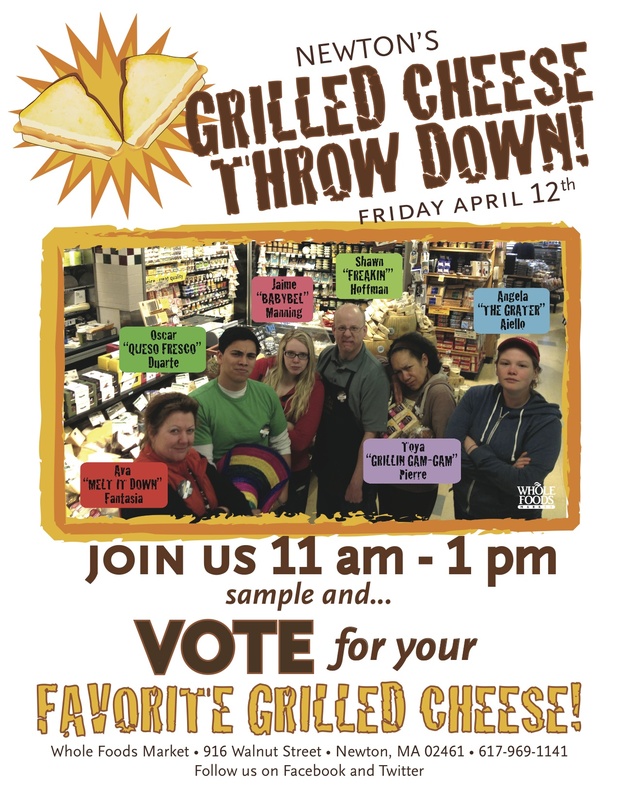 Join Whole Foods in Newton off Walnut for a Grilled Cheese Throw Down and vote for your favorite grilled cheese! The fun begins Friday, April 12th from 11 am to 1 pm.